Klippa’s goal is to eliminate paper receipts. 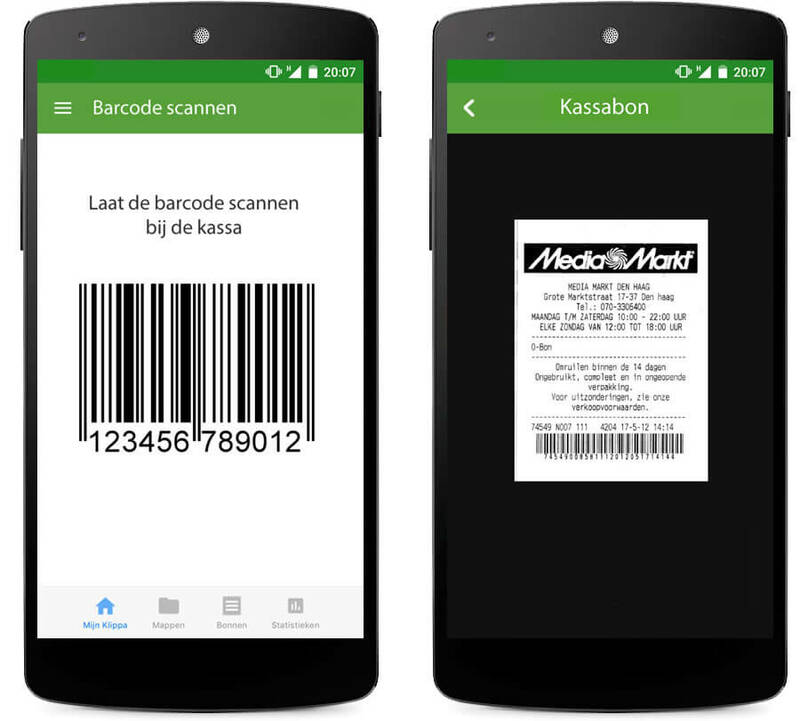 We are doing this by digitizing paper receipts in the Klippa app. In addition, we’ve introduced a smart digital receipt that is available after each transaction, called Digibon. The Klippa is app is free of charge and available for iOS and Android. All your files are stored in the cloud and available on your laptop, tablet or desktop. In other words, you will never lose a receipt again. Are you using Digibon? Besides Klippa, you can safe and store your receipts in your banking app, Google Drive, or Dropbox. Every day we work hard to spread the news about our solution Digibon. On a weekly basis we have meetings with retailers and the implementation of digital receipts. Unfortunately, innovation in the retail goes slowly and awareness about the silly process and impact of paper receipts on the environment is much needed. Share the news about Digibon, and hopefully you’ll receive your digital receipt at your favorite retailer soon! Are you a retailer that would like to implement software for digital receipts? Please contact us for the costs and possibilities. Digibon is easy to integrate in your cash register software or pin terminal with our API.